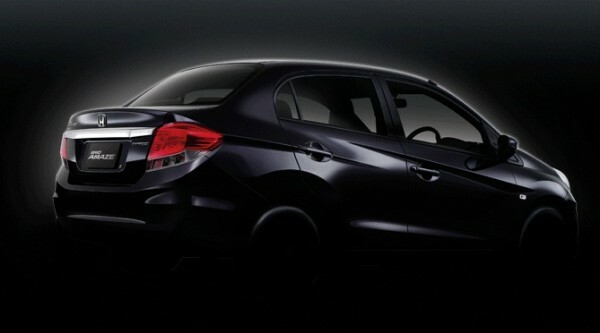 Japanese auto major Honda has revealed its all new diesel compact sedan for India, the Honda Amaze. The car was given for test drive for selected automobile journalists in Honda's test track at Japan. The Brio Amaze will be the first diesel car from Honda and will be pitted against small compact sedans like Mahindra Verito, Toyota Etios, Swift DZire and the Indigo CS. Here are certain impressions revealed by automotive journalists via internet. Design is similar to Honda Brio hatchback in the front and a nicely integrated boot. Available in 1.2 litre VTEC petrol engine and 1.5 litre iDTEC diesel engine. Price to be expected between Rs 5.4 lakh to Rs 8 lakh about Rs. 20-30,000 higher than that for Maruti Suzuki’s Swift Dzire. Mileage: 23-25 kpl under ARAI test conditions for diesel variant. The car is expected to be available in the showrooms during April 2013. More details on the car will be revealed on November 23, 2012, which is expected to be the official unveiling of the car.